A lovely three bedroom SEMI DETACHED HOUSE with mature front and rear gardens. Located at the Far Bletchley end of Whaddon way the property boasts, two reception rooms SPACIOUS KITCHEN and three bedrooms on the first floor. 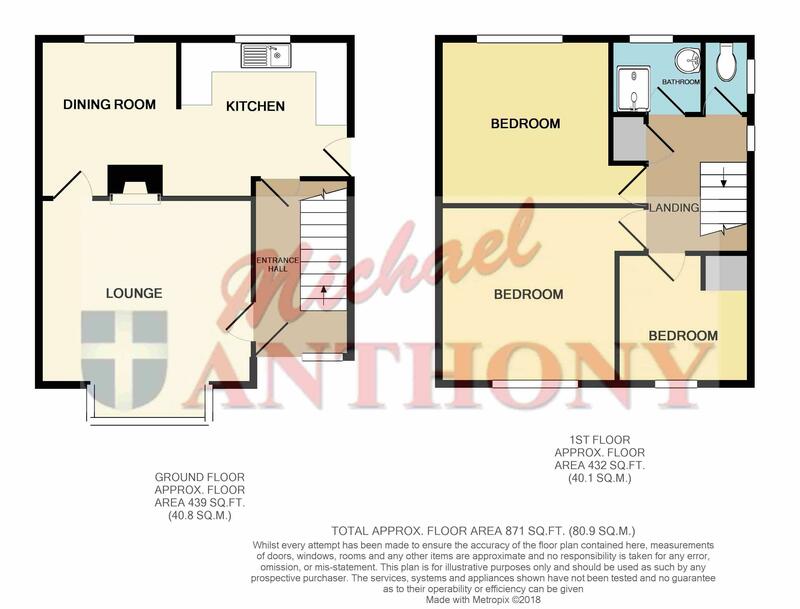 Within easy reach of local shops and schools including St Thomas Aquinas. Local transport links are available to both bus and train stations providing access to London for anyone that wishes to commute. Viewing is by appointment. Stairs rising to first floor, radiator, Parquet flooring. Double glazed box bay window to front aspect, radiator, doors to hallway and dining room, Parquet flooring, open fireplace. Double glazed window to rear aspect, radiator, open to kitchen, door to lounge, Parquet flooring. Two double glazed windows to rear aspect, a range of storage cupboards at base and eye level, rolled edge work surface areas, splash back tiling, open to dining room, spaces for a washing machine, cooker and fridge freezer, wall mounted boiler, door to outside passage. Obscure double glazed window to side aspect, access to loft void, doors to bedrooms, shower room, separate w.c. and airing cupboard. Double glazed window to front aspect, radiator, storage cupboard. Double glazed window to rear aspect, radiator, storage cupboard. Obscure double glazed window to rear aspect, comprising a shower cubicle, pedestal wash hand basin, heated towel rail, tiled flooring and walls. Obscure double glazed window to side aspect, low level w.c., tiled flooring. Obscure double glazed window to front aspect, power and lighting, door to front and rear aspects. Mainly laid to lawn, flower and bush borders, pathway to front door. Mainly laid to lawn, decking, shed to remain, vegetable patch, enclosed by wooden fence panelling.